You are here: Home / Yoga Articles / Teaching • The Business of Yoga / The Business of Yoga / What the Hell Happened with YEANZ Ltd & Wanderlust Australia New Zealand? 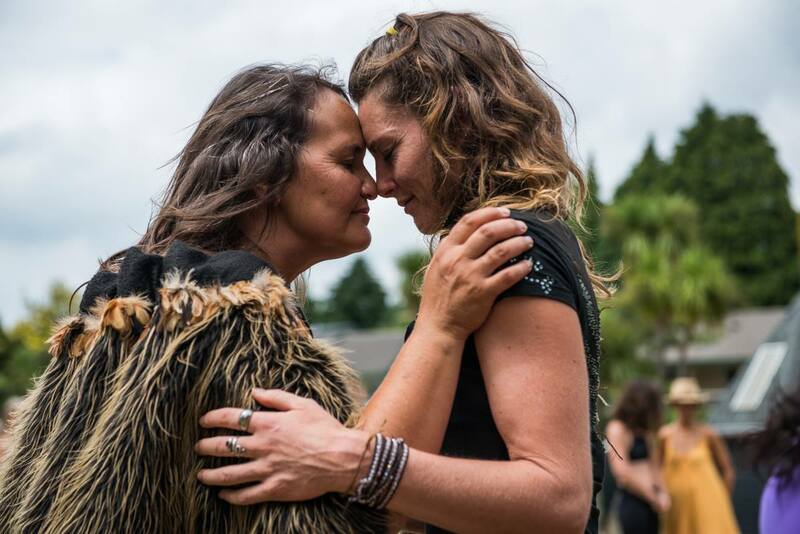 It’s the news that has ruptured the New Zealand and Australian yoga community and shattered the dreams of thousands of people. On January 12th, 2018 YEANZ Ltd, the company that held the license for Wanderlust in Australia and New Zealand, went into liquidation. Eleven days later, the worst was confirmed – Wanderlust Great Lake Taupō was effectively cancelled. The Yoga Lunchbox has been part of the Wanderlust journey right from the beginning: I’ve interviewed many Wanderlust teachers and presenters, and I’ve presented at every multi-day festival here in New Zealand. I know all the players in this unfolding drama, and I have a lot of love for everybody involved. Since the news reached my inbox, I’ve been talking to everybody I know, emailing Wanderlust USA, and gathering as much hard evidence as I can about what went down. This article will be the first of many, as I unpick and unravel the demise of YEANZ Ltd, the impact on the 100+ creditors left owing money, and the fall-out in the yoga community. Here are the facts, as known to date. YEANZ Ltd – Yoga Events Australia New Zealand – was the company that held the license for Wanderlust in Australia and New Zealand. It launched in 2014 with one-day events in Auckland, Melbourne and Sydney. In 2015, those one-day events were followed up by three and four-day events in Taupō and Cockatoo Island. Wanderlust had officially arrived in New Zealand. The company directors were Jonnie Halstead, a long-time music promoter who was involved with Homegrown, a one day Wellington music festival, just one of many music events that Jonnie was part of through his company Picnic Events. The other director of YEANZ Ltd was Honza Lafond, a Sydney based acro-yoga teacher best known as Yoga Beyond, with his wife Claudine. Jonnie co-founded popular Wellington Nightclub Sandwiches in 2003, marking the beginning of his career in promotions. A decade later, supported by his wife Jacque, a Bikram yoga teacher, he shifted focus into the yoga and consciousness market with the birth of YEANZ Ltd.
It’s a shift that came with its own set of challenges, despite Jonnie’s wealth of promotion and event organising experience. This 2016 interview on Entertainment and Media Map with Rachel Barros is eerily predictive of the situation that unfolded. Back in 2013, when still considering the idea of taking on the Wanderlust license for New Zealand and Australia, Jonnie headed off to the USA to attend festivals and get his head around the possibility of bringing yoga and wellbeing festivals down under. Along the way, he wrote a few articles for The Yoga Lunchbox, testing the waters to see what the uptake might be. Those festivals impressed Jonnie, and in July 2013 YEANZ Ltd was incorporated, and in August 2013, he signed a licensee deal with Wanderlust USA to bring the festivals to New Zealand and Australia. Wanderlust USA provided YEANZ Ltd with production guidelines, site recommendations, sample budgets from US events, the website infrastructure, sponsor contacts, email and marketing support, photos, videos, and design assets. They also sent one employee to observe and consult on the early events, and required YEANZ Ltd staff to attend Wanderlust events in the USA. “Licensing allows us to expand in territories where we’d have no direct ability to expand – though we’re “global”, we’re a small company with less than 50 employees dedicated to events, and we have no staff on the ground in Australia or NZ nor financial resources there. We have many other licensees that we do business with in other countries using the same licensing model, and we have had no significant issues. That also was true with respect to our relationship with YEANZ from 2013 – 2017. Unfortunately, it changed rapidly and we all ended up in this unfortunate position.” co-founder of Wanderlust USA, Sean Hoess. That unfortunate position was the news that on January 12th YEANZ Ltd had gone into liquidation, owing more than $1.6 million dollars. There was no warning given – no communication with presenters, suppliers or vendors. The last multi-day festival was in November at Wanderlust Sunshine Coast 2017, which had been preceded and followed by a series of 108 events across New Zealand and Australia – the last of which occured in Christchurch on December 2nd, 2017. As per usual – YEANZ Ltd was notoriously late on paying invoices – the presenters and suppliers from Wanderlust Sunshine Coast were having trouble getting paid in a timely manner. Scores of them were owed anything from hundreds of dollars to tens of thousands of dollars. One of the biggest creditors was Wanderlust USA, owed over $100,000. But Sean says he had no idea that the company was struggling so badly financially until the very end. And the licensing agreement WL USA held with YEANZ Ltd ended when the company become insolvent. When that news broke in New Zealand and Australia, behind the scenes, Sean Hoess was working frantically, attempting to secure a new producer to take over Taupō in time to save the festival. But despite speaking to eight different event producers, Sean was unsuccessful. The financial situation was too dire, and with most of the money from ticket sales plus sponsorship already gone, no producer was willing to step up. And so on January 23, what would have been the fourth Wanderlust Great Lake Taupō was cancelled. Of course, the refund also makes bloody good business sense. The collapse of YEANZ Ltd has already impacted the Wanderlust brand in the eyes of many of the presenters, performers, and suppliers who have been left owing hundreds of thousands of dollars. Many of those creditors are small yoga businesses, and they are owed anywhere from $1000 to $30,000. It’s unlikely that they will ever see their money. It’s gone. The liquidator’s report states there are some assets that can be sold, and there is some money owed to YEANZ Ltd that can be collected, but that will go to secured creditors first. The total lack of communication from YEANZ Ltd to it’s staff, presenters and suppliers has also been frustrating for many involved. While Jonnie is unable to make any public statements at this time due to the liquidation process, there would likely have been opportunity to communicate with the Wanderlust community before the final decision to liquidate was made. However, the liquidator’s report has been made public and does shed some light on what went wrong. This information is via John Scuttor of Fervor Ltd, the appointed liquidator. “Mr Halstead has advised that the Company’s business failed due to the inability of the Company to recover from sponsorship bad debts for two major events during 2016. The Directors then engaged in a strategy to up scale the business to generate an increase in cashflow for the business. However, sales targets for sponsorship of events were not achieved, leaving the business in a declining cash position. The shareholders advanced further funds to the business in an attempt to cover cashflow shortfalls. The human resources engaged in business operations that were too high for the sustainability of the business and a restructure of the business was too late to have an impact on the cashflow obligations of the business. Two of the biggest creditors? The directors of YEANZ Ltd, Jonnie Halstead and Honza Lafond. The creditors report doesn’t detail the amount that they are owed, but an unsubstantiated source suggests it’s well over half a million dollars. If that is true, it implies that Jonnie and Honza were doing everything they could to keep YEANZ Ltd afloat until they could get the company into a better financial position. However, that ‘everything’ included being perpetually late on paying invoices and abusing people’s trust. There was no transparency or honesty about exactly what was going on. The company’s desperation to keep itself afloat and continue with the festivals meant they harmed hundreds of people along the way, by contracting for goods and services they were unable to afford or pay for. There’s no doubt that Jonnie Halstead poured his heart and soul into the events. And he was on the ground, working hard all festival long, doing whatever needed doing to maximise the attendees’ experience. But it appears that those cutthroat business methods from the nightclub and music scene stuck with him – even with his awareness of the need to do business differently, and the need to evolve. And in the end, it all came down, leaving scores of people out of pocket because of pre-booked travel plans and accommodation, and the many creditors angry and hurting from unpaid invoices. Now the challenge before the community is how to navigate this experience – both our individual experiences, and our collective experiences. YEANZ Ltd may be gone, meaning Jonnie is no longer the steward, but the spirit that animated Wanderlust New Zealand and Australia lives on. It is the spirit within each and every one of us that loved Wanderlust, that came together as a people, that yoga’ed, and danced, and sang, and played, and celebrated. And who knows what might rise from the ashes… stay tuned for more. There will still be a festival at Wairakei Resort on March 8th – 11th. Kara – thanks for the great article – Wanderlust ANZ had a bad vibe from the very start. Never really connected with the local yoga community. Built up a few ego-maniacs (Duncan Peak, the Lafonds) and brought in some superficial overseas teachers. Definitely fucked over a few people. It feels as though this is the natural result of a lack of integrity and treating people badly – and there were a ton of people that would be in that boat. I know Duncan and the Lafonds, and from my encounters with them, I wouldn’t class them as ego-maniacs. They’re all passionate about yoga, and communicating their understanding and passion for yoga with people. And teachers like Shiva Rea, Elena Brower, Suzanne Sterling or Rod Stryker are most definitely not superficial at all. Making broad sweeping statements which are inaccurate points to internal bias – having an idea about what something is and then projecting that idea onto the reality of the experience. There was definitely issues in how people were treated, and possibly a lack of integrity. Yet to see clearly requires discrimination and heart – that way, both the light and the shadow can be named. As for Bondi Yoga Festival – I haven’t heard anything about that, and will add it to my list of things to investigate. Thanks for the tip. Hmm… harsh but kind of agree. Claudine and Honza built their profile by purchasing THOUSANDS of fake followers. Totally fake and inauthentic. We will celebrate our 5th year next. I hope it is in NZ. If need be it will be Hawaii or Wherever else our travel takes us. Our hearts are in NZ. What a wonderful experience for the four of you to have together… and yes, the yoga community has grown a lot in the last five years. The hardship isn’t just endured by Jonnie though – scores of people have been impacted, particularly small businesses in the yoga world that have been left with unpaid invoices. It’s those people I feel for too, and the question I’m asking is; How do we, as a community, support those people? It is just one of so many events that are all seeking a slice of the same $$ pie. There is just so much competition… Surely if we are being told the truth, the receiver should be able to get the sponsorship funds that are owed to assist with paying the creditors…Unless of course there was no contract with these sponsors? true there are so many events seeking the same slice of the pie. some with authenticity others not. there is more than one festival going around , so from my point of view its not a great loss.. its a competitive market.. as long as you are not caught up in this financially ?? its not an easy thing finding sponsors..?? good luck on you future endevors..
“Here are the facts, as known to date. […] it appears that those cutthroat business methods from the nightclub and music scene stuck with him – even with his awareness of the need to do business differently, and the need to evolve.” — is that a fact, or a judgement, and an accusatory one at that? Actually, calling it an accusation is an understatement; you have pronounced Jonnie Halstead guilty! Granted, investigative journalism isn’t about facts only, but the ‘character conclusion’ you’ve drawn on the basis that “There was no warning given – no communication with presenters, suppliers or vendors. One of the biggest creditors […] had no idea that the company was struggling so badly financially until the very end” makes me wonder what do you believe they ought to have done: publish a ‘caveat emptor’ “book at your own risk” warning on their ticket sales page, explicitly advising prospective buyers that the event is likely to go belly-up if some deal they are counting/working on falls through? — sounds ridiculous, doesn’t it? And would you still have denounced their business ethics had they managed to turn their venture around and only retrospectively told everyone what a close shave it was, or would you have then praised their determination and willingness to put their own fortunes and reputation on the line for the benefit of the wider yoga community? As an alternative interpretation, maybe it was his integrity to do “what is the right thing to do rather than necessarily the best business move” that rendered them insolvent (?) I don’t know the answer, but I prefer allowing for that possibility over the self righteous verdict you’ve passed with such confidence. Many thanks for your comment. The quote you’ve taken out of the article “These are the facts” refers to the information detailed in those first few paragraphs with the dates and happenings that unfolded. The other sentence that you’ve extracted comes much later in the article when I am reflecting on some of what occurred through my perspective. So no, that is not a fact at all. You’re quite correct. Neither do I see it as a moral judgment, nor do a view Jonnie as morally corrupt in the slightest. He was doing the best he could in a damn difficult situation and as I said in the article, he poured everything he could into it. The lack of communication I’m referring to is what happened after the decision to liquidate happened. That would have been a really good point to email the presenters etc and let them know what was happening – that the company was going into liquidation. Instead, most people involved with creating Wanderlust GLT found out via the media or Facebook. I have a lot of love for Jonnie, and respect for what he was able to do. And, I see the mistakes that were made the actions that hurt other people. The end never justifies the means, and how we do what we do is the most important thing of all. I spoke to many people in the background for this article, about how they were treated. At this stage, I’ve chosen not to share all of that detailed information, but it informed the perspective I took on the article.